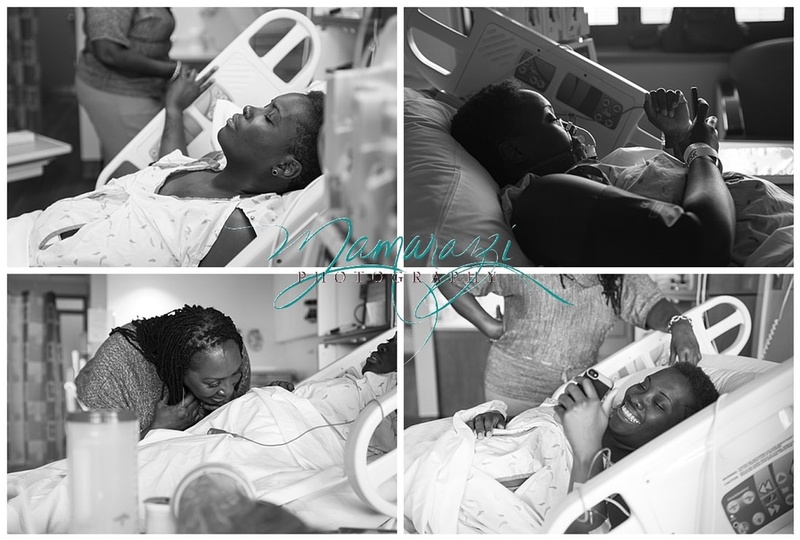 The morning of March 22, 2015 I was getting ready to head out for a pregnancy reveal session when DJ let me know that she was at the hospital. We still figured it could be a while so I told her to keep me posted and notified my clients that we may need to reschedule depending on when baby decided to come. I was en route to the session when DJ's mom called to let me know she was 6cm! I called my clients and let them know what was going on and headed back towards SAMMC. I walked in and DJ was happily visiting on the phone with friends and family and enjoying the company of her mother. Things were moving right along, I think I was as excited as she was to know that we would be meeting miss Kennedy soon! "I spent my pregnancy preparing the nursery. It was a surprise pregnancy, so it definitely wasn't something I had been prepared for quite yet. My mother came from out of state to be with me during the birth. Labor started around 3 AM, but as a first time mom, I didn't know if it was the real deal. I even face timed with my best friend when I lost my plug because I wanted to make sure that's what it was! LOL She told me to call the nurse advice line." "I wanted to have a natural labor, but I ended up getting an epidural. I don't regret that choice at all, and would encourage any mom to go with her gut. My favorite memory from that day was holding her for the first time and thinking she was perfect. She had the prettiest full head of curls! Looking back, I was surprised that becoming a parent hasn't been as hard as I thought it would be. 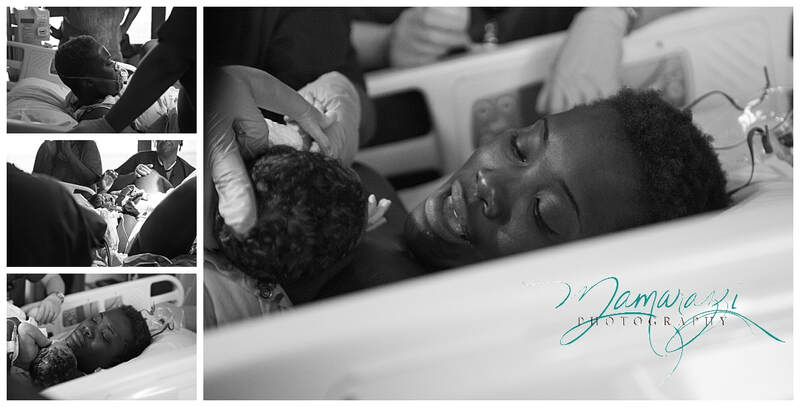 I'm so glad I chose to have a birth photographer, I have always loved photography. 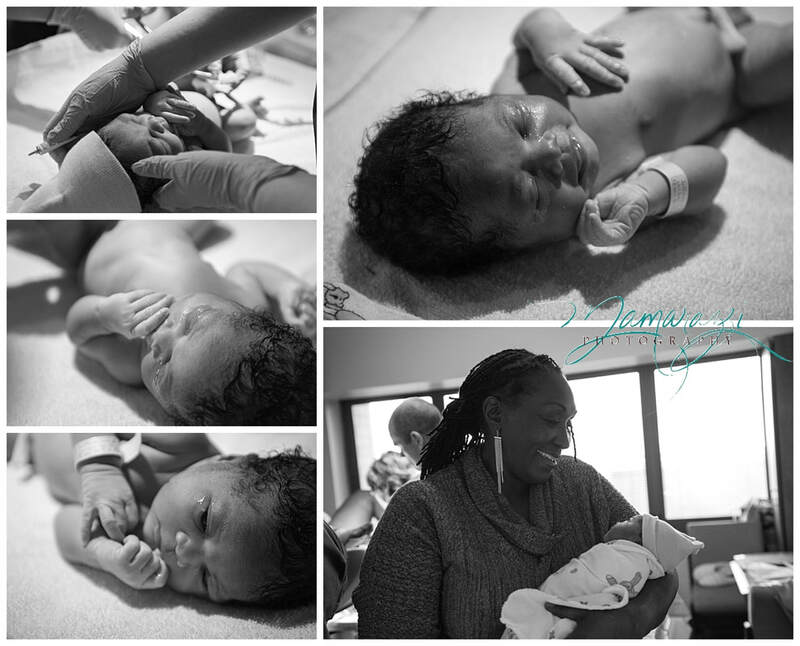 Pictures are worth a thousand words, I would encourage anyone not to hesitate if they are considering a birth photographer." I have had the pleasure of working with miss Kennedy several times since her big debut. She is always so much fun! :) I am honored to have been part of their story!